Earlier this year, one of the most conscientious and commanding writers today, Anne Waldman participated in PEN American’s World Voices Festival event, “Translating Poets Alive,” where her work Tell Me About It, which had been translated by New York University (NYU) student Florencia San Martîn into Spanish, was read aloud. Often referred to as American poet Irwin Allen Ginsberg’s “spiritual wife” (having been dubbed as such by Ginsberg himself), Waldman is an icon of an ever-evolving poet, activist, professor, and mother, in fact, one might go so far as to say that she seems to have it all. The author of over 40 works of poetry and editor of several poetic anthologies, Waldman is a living legend. Collaborating with artists of all kinds her whole life, including musician Ambrose Bye and various poets, it should come as no surprise that the dark brown-haired New Jersey native was Bob Dylan’s poet in residence, touring with him as a composer, and was even featured in his experimental film, Renaldo and Clara. Truly a “Fast-Speaking woman,” much representative of her works — an impression of words that ring loud, fast, and strong, Waldman currently directs an MFA program in writing and poetics at the Jack Kerouac School of Disembodied Poetics in Boulder, Colorado, which she founded with her fellow poet and friend, Ginsberg. Influenced by an education she received in the Village-bohemian bars of New York City, folk music gatherings in Washington Square Park, and infamous jazz clubs, Waldman encourages the next generation to take it all in and to always seek more — something that she continues to do herself to this day. Like many writers, the charismatic wordsmith’s inspirations come from those who have passed, hers being the renowned Gertrude Stein, who she felt pushed boundaries and wrote in a smart and playful way. Using Stein’s disposition and intent, Waldman emulates brave female writers who seek freedom through their work. But she is first and foremost a writer of conscience. After moving to St. Marks in the heart of the Village upon graduating from Bennington College in 1966 in Bennington, Vermont, she devoted her time to working on the St. Marks’s Church In-the-Bowery arts project. Since that time, her work has revolved around the tensions she saw on the Lower East Side from the late 1960s and onward, from the opposition to the war in Vietnam and the blatant racism to the injustices of police brutality and strict drug penalties. In the spirit of sharing her stories and time, she honored GALO Magazine with an interview during and after the Pen World Voices Festival in New York City. GALO: How does your experience at the Pen World Voices Festival differ from your experience at other festivals? What keeps you coming back? 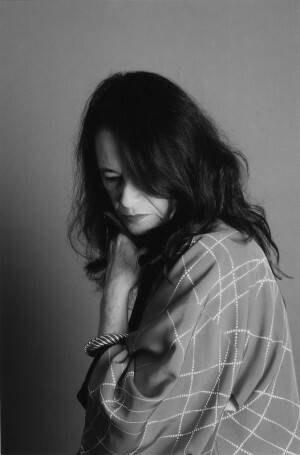 Anne Waldman: I appreciate the cross-cultural exchange, the way PEN gathers writers of great accomplishment and worldwide breadth together, and the work with writers of conscience who are imprisoned and in a state of appalling “lock down” — their keeping an eye on issues of freedom of expression and so on. [It is] exemplary! GALO: Who were you looking forward to seeing most at this year’s festival? AW: All the poets and translators at the event at NYU. The Spanish creative writing program is a unique treasure in this city and presents one of the most fascinating and rigorous series anywhere. It’s inspiring [that] they are hooked up with PEN this year. GALO: PEN holds Translations Slams at its festival to show how translation can be both brutal and fun. Do you see translations as stringent or fluid? AW: Probably not too tight, not too loose. GALO: The overlying theme at this year’s PEN Festival was literature beyond the word. Literature extends beyond poems, beyond plays and beyond novels, deep into paintings, dance performances, and concertos. You’ve had opportunities to collaborate on translations, poetic anthologies, dances, and musical compositions. Is there an art form you have not yet been able to use as a medium, or a collaboration you have not been able to achieve, but have wanted to or considered? GALO: You found your voice at an early age by always being surrounded by books and people who recommended writers you fell in love with. How can young American writers find their voice today in a country that does not read like it once used to? AW: I think young people find their way as writers in this culture, although one may have to strive a little harder to find communities of like-minded writers and readers, and to find the generative conversations and exchange of ideas. Academic programs continue to be a nexus as well as alternative communities outside of the mainstream. That is certainly my experience as I encounter writers coming [in] to the Kerouac School at Naropa [University] and gravitating to the Poetry Project in New York. There is no period in human history without poetry. There’s the expansiveness of the Internet as well — [there are] more online magazines as well as sites of discourse and the world of translation and cross-cultural exchange, [and they all] seem healthy. GALO: Do you find yourself frustrated with the fact that young female writers (and young women in general) today are fighting the battles that you’ve fought and seemed to be progressing on? GALO: What advice do you have for young people today who are struggling with being published? AW: Be a serious reader, [read] at least a (reasonably sized) book a day, devote another two hours to thinking and writing, even if you are working fulltime and have other duties…go on retreat if you can, get off the “careerist wheel.” Be passionate about your work; integrate it into your life. Seek out a community; develop your “infrastructure poetics.” Study languages, the literature of other cultures…have the conversations. GALO: Some of the best advice I’ve heard! What about travels? You’ve had a sort of love affair with India. Some countries that we visit seem to never change, no matter how many trips we take. While still others, seem to change with each trip taken, and we struggle to adjust to both experiences. How have your experiences during your travels changed your writing over the years? AW: Expanded, enhanced, been crucial to [it]…as witnessed in The Iovis Trilogy: Colors in the Mechanism of Concealment (Coffee House Press, 2011), my feminist anti-war epic, which tracks 25 years of consciousness, and includes a great deal of travel and life in Indonesia, India, Vietnam, and China. Structure of the World Compared To A Bubble (Penguin Poets) explores the Buddhist stupa at Borobudur in Java, which I wrote as a “walking meditation”; [it] seemed a more evolved and concentrated experiment (in that I was attempting to explore Mahayana Buddhist philosophy in a narrative way) than earlier works in Blue Mosque (United Artists). GALO: You’ve had a notion that you’ve seemed to instill in yourself of never “selling out.” Do you believe that writers today have to “sell out” more so than your generation because writing has become more of a business and the MFA can now be considered as a sort of requirement for an aspiring writer? AW: I think certain MFA programs can provide community and a space to generate important work and deepening study. [However], the MFA is no longer a degree that guarantees a job, so one questions the proliferation.